<< "This program shows how to use makeTransformToGlobal() to compute required pose,"
<< "how to use makeCameraPose and Viz3d::setViewerPose. You can observe the scene "
Get camera pose from camera position, camera focal point and y direction. 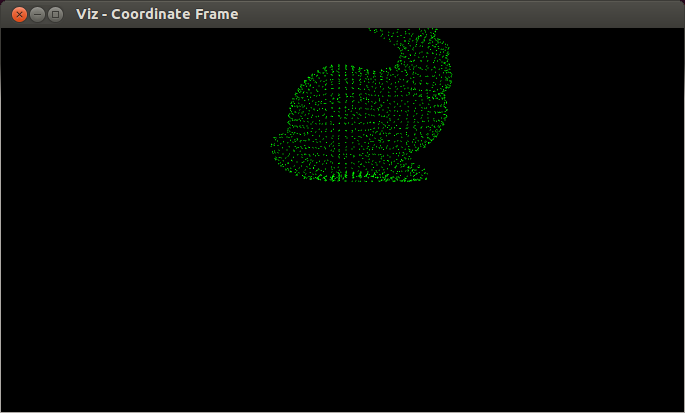 Obtain transform matrix knowing the axes of camera coordinate system. Given the pose in camera coordinate system, estimate the global pose. 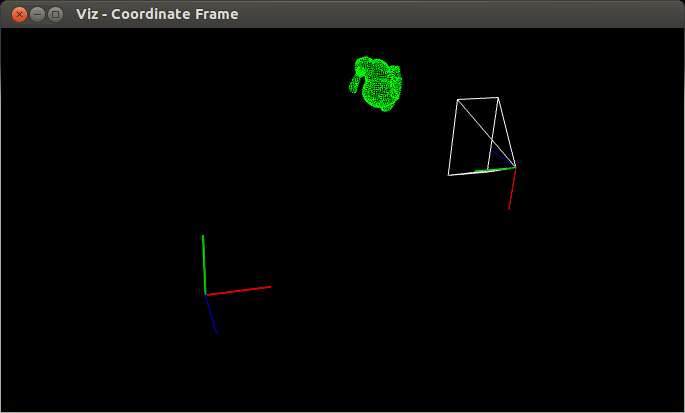 If the view point is set to be global, visualize camera coordinate frame and viewing frustum. If the view point is set to be camera's, set viewer pose to cam_pose. Here is the result from the camera point of view. Here is the result from global point of view.